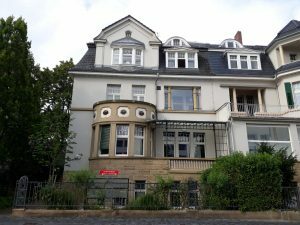 Located directly opposite the UN Campus in Bonn, the location of our Bonn office offers us ideal working conditions. Our premises consist of a representative reception area on the ground floor, a large conference room and our offices on the 1st floor. We look forward to every visit - come and have a look. The Sustainable Development Goals / 2030 Agenda cannot be achieved without engaging religious organizations and communities. The United Nations and national governments have recognized this and have created various initiatives to cooperate with religious actors. The WEA will connect with the United Nations, governments and other (religious and faith-based) non-governmental organizations in order to contribute to the implementation of the Sustainable Development Goals. A specific task force on the environment, the WEA Creation Care Task Force (CCTF) works to equip evangelicals to care for creation and raises awareness on how to deal responsibly with the environment. The Task Force has produced valuable resources and built a wide network of partnerships. Using the new WEASC as a platform, the CCTF will engage with international organizations, governments and like-minded NGOs to help connect and leverage the capacities of evangelical creation care organizations for greater impact at national and global levels. Great to see this video highlighting the partnership between @SCJohnson and @PlasticBank. Very proud of these teams and grateful for all the work they’re doing. Our oceans need protection. #SCJRecycles. On the occasion of #UNEA4, Norway's H.E. @olaelvestuen elected #UNEA5 President.